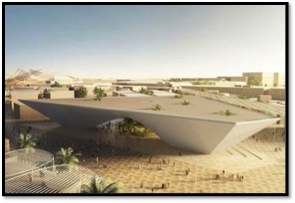 Dubai Expo 2020: architectural firms to design theme pavilions. The Emirate desert has become an urban battlefield for a global immense industrial competition. This time thirteen of the world’s leading architectural firms fought the most acclaimed competition in the architectural sector, launched in July 2015 by Emaar Properties, on behalf of Expo 2020: Dubai Expo 2020 theme pavilions. Bjarke Ingels Group, Foster + Partners, and Grimshaw Architects. 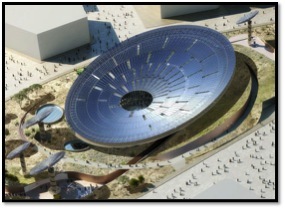 The competition sought to identify the designs for the three theme pavilions of Opportunity, Mobility and Sustainability, under the Expo’s 2020 theme of “Connecting Minds, Creating the Future”. Pavilions and their iconic architecture are central to World Expos, and the three pavilions will be centerpieces that showcase the latest ideas, innovations and developments providing the visitors with an immersive and memorable experience. Bjarke Ingels Group (BIG), a group of architects, designers, builders and thinkers based in Copenhagen with offices in New York. Their design philosophy reflects a belief that contemporary urban life is a result of the confluence of cultural exchange, global economic trends and communication technologies. BIG is known for its innovative approach to architecture and the group is currently working on the design of a new Google headquarters. Foster + Partners, the internationally renowned practice, based in London, is known for its design drew on nearly four decades of pioneering designs including UAE Pavilion Shanghai Expo 2010, Dubai’s The Index building and the master plan for Masdar City. Grimshaw Architects, leader in the field of sustainable architecture, designed the Eden project in Cornwall, UK. This particular pavilion will become a long term ‘cluster’ center promoting innovative technologies. 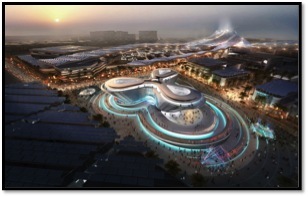 A key criterion for the competition was ensuring that the designs not only embraced one of Expo’s core themes, but also had the flexibility and longevity to live on as landmarks and functional structures after the Expo is complete in 2021. Expo 2020 has the ambition of, literally, Connecting Minds and Creating the Future by bringing together cultures from across the globe and playing host to people who bring insight into what is possible in the realms of opportunity, mobility and sustainability. Dubai is fueled by the philosophy of the Expo 2020 theme. It is a place that brings the world together to share ideas and to work together on the challenges the future may hold. People share the same future and they are convinced that it is only through collaboration that the world can find new solutions. The subthemes of Dubai Expo are three tangible challenges to which we should apply this philosophy: sustainability, mobility, economic development and job opportunity.